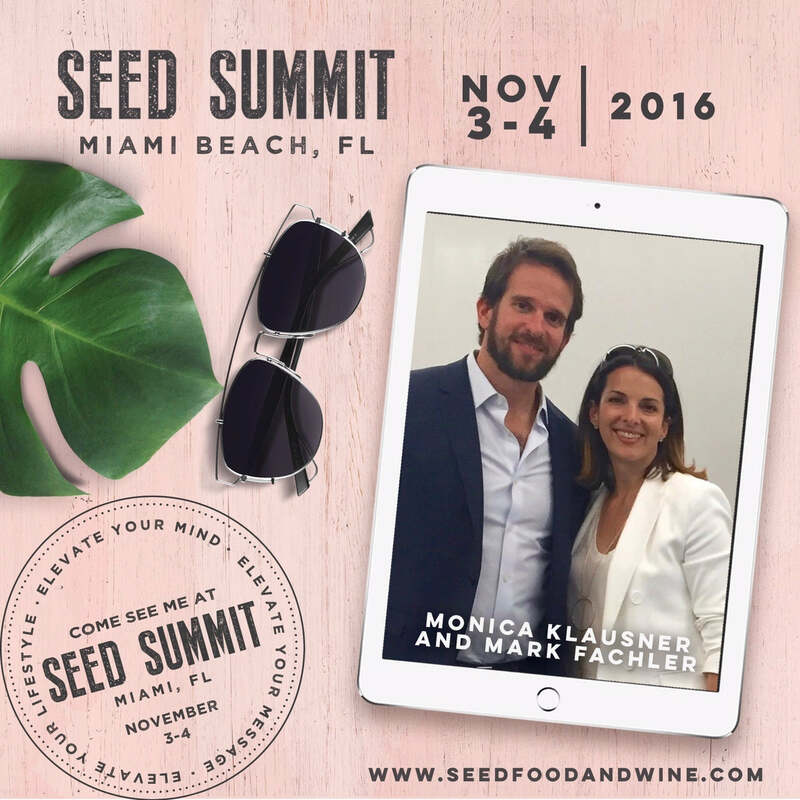 Join us at this year’s Seed Food and Wine Miami Beach, the premiere plant based food and wine festival in the country. From cooking demonstrations, wine tastings, celebrity chef dinners, yoga, craft beer and spirits tastings, a veggie burger battle, and more, Seed Food & Wine's line-up features something for everyone, starting with the Seed Summit, taking place at the luxurious Nobu Hotel at Eden Roc on November 3rd and 4th. Mark and I are excited to be hosting a workshop at the Summit. If you are a content creator, blogger, entrepreneur, or influencer in conscious, sustainable, and vegan living, these workshops and panels are for you! There will be 20 workshops and panels over the two days, covering everything from social media trends, crowd-funding, getting published, food styling, building your brand, the future of brand ambassadors and social influencers, copyright law, photo retouching 101, and more. Click here to purchase discounted tickets for the Summit. On Saturday, November 5th, visit the Veestro booth at the Seed Food and Wine Festival Tasting Village. There will be over 200 restaurants, bakeries, brands, wines, spirits, and juices sampling delicious plant based treats all day! Plus, a beer garden, Chef Demonstrations, Speaker Stage, yoga lounge, fitness zone, and more. Check out www.seedfoodandwine.com for tickets and more info. We hope you can join us!